It has taken me four days to read through Big Creek and change many of the present tense verbs to past tense. It has made me tense, mostly in the neck and shoulders. Of course I wasn’t at the computer the whole time during those four days. I spent at least one whole day at Andy’s computer on the phone with tech support. And, there was some laundry to do. We went to a nice Christmas party aboard Jerry and Marti’s boat, Monarch. And, one day we went to Bahia Honda State Park to walk on the beach in the afternoon. I have read through the thing so many times that now I find it quite boring and not worthy of trying to turn into a book. I also don’t feel that I am making much, if any, progress. Each time I go through it making changes, I introduce errors. You might guess that I am a bit frustrated. So, here are a few pictures from our beach walk; that was soothing. I had checked the tide tables the night before, so we got there a bit before low tide and had some beach to walk on. It was the first time this season that we were able to get to the north end of the beach. I was sad to see the two palm trees, subjects of many of my photos, lying across the beach. All the recent storms have eroded much of the sand away and there are a number of other trees fallen over as well. Andy spotted a Great Blue Heron around a point at the south end of the beach and motioned for me to stop. We crept around the point, but did not see the heron until Andy saw its head poking up behind some bushes. 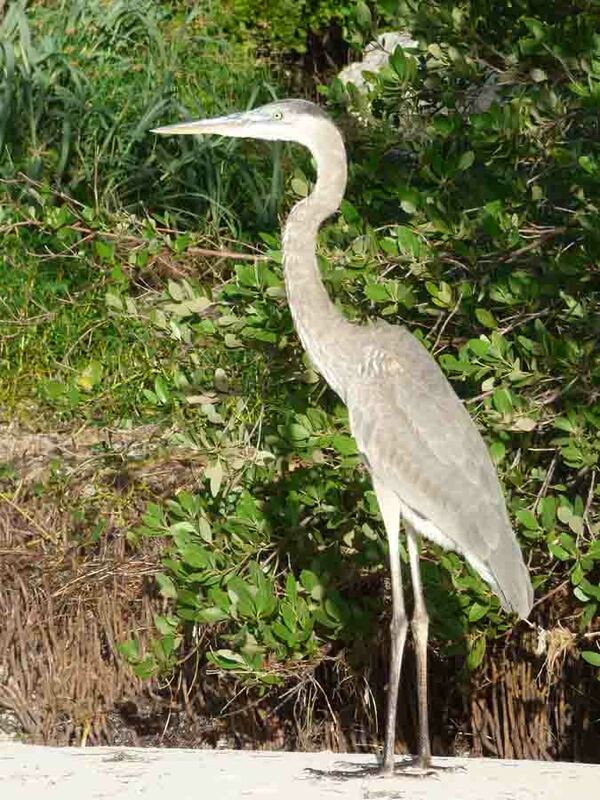 We moved down slowly down the beach until we could see the full heron and I took a few more pictures. It was a large specimen. Since the tide was low, I was able to get a nice picture of these snails in the afternoon sunshine. They are in the nooks and crannies of many of the limestone rocks on the beach. Of course that will probably change again before all is said and done. The pictures are easy compared to the words! oh yes I am sure!!! So sad about the Palm trees, your pictures are great! I am sure your book will come together! I admire your tenacity with your book. It gets better with each word you change. Thanks for that encouragement. I suppose if I stand across the room to look at the easel, so to speak, I would see that it is much better than when I started this project. I’m sorry to hear you are becoming discouraged with your book, Dinata. Constant editing does tend to make you feel like that, especially when your neck and shoulders start to complain. It seems a thankless task, at times, but each time you sit down and set to work, a few more changes are made, and you make progress. It is slow going, but very necessary. I’m glad you managed to get out and enjoy a Christmas party – and to take that wonderful beach walk. It’s so sad to see palm trees destroyed by storms, but when the soil becomes eroded away, I suppose little can be done to save them. Stunning photos, as always. 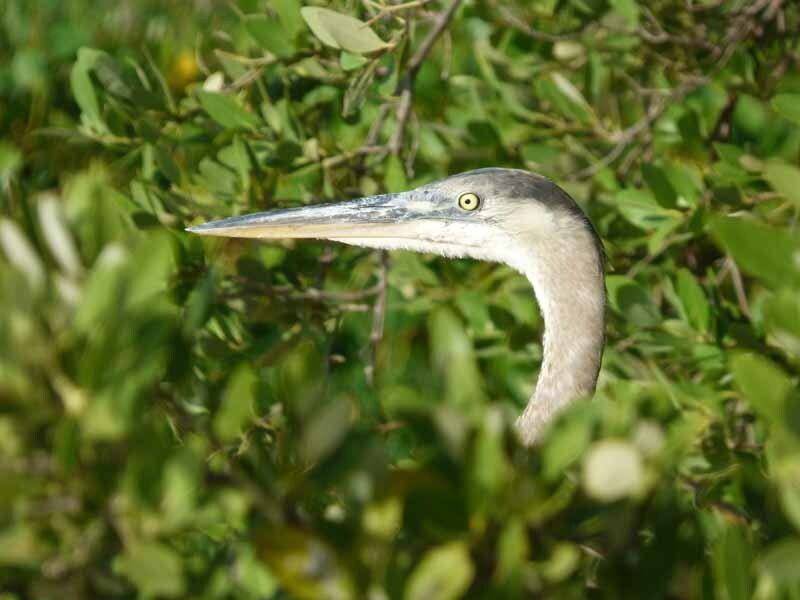 I love the one of the ‘peeping’ heron, and the snail photo is excellent. I guess getting frustrated is just part of the process. The next day I was ready to keep plugging away at it.I am mostly anxious to get the thing done.Of course, then I’ll have to start thinking about promotion. Yes, I think it’s just a case of ‘join the club’. I’m of the opinion that being frustrated is part and parcel of an author’s job description. We just have to grin and bear it, have a little break, and come back to it all refreshed and ready to start again – as you have done.